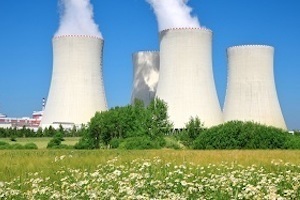 Nuclear Regulatory Commission issued the following announcement on April 16. Baxley, about 20 miles south of Vidalia. resident inspectors based full-time at the site, will be available to discuss its performance. the NRC’s normal level of oversight, which entails thousands of hours of inspection each year. safety significance trigger increased NRC oversight. the NRC website. Current performance information for Hatch Unit 1 and Unit 2 is also available. Want to get notified whenever we write about Nuclear Regulatory Commission ? Next time we write about Nuclear Regulatory Commission, we'll email you a link to the story. You may edit your settings or unsubscribe at any time.